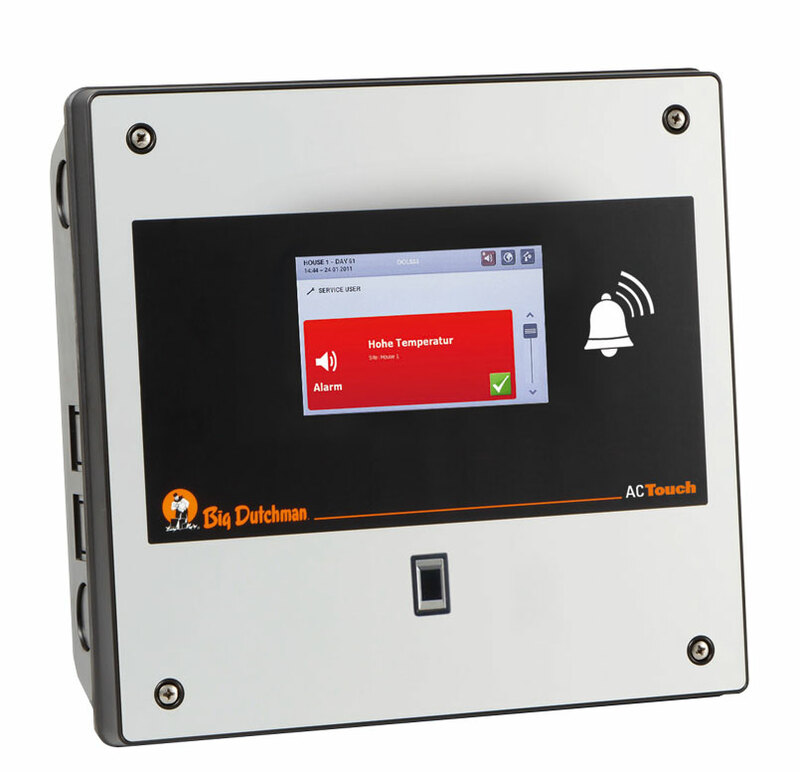 With the AC Touch, Big Dutchman introduces a new generation of alarm systems. Instead of a key, AC Touch is accessed by means of a fingerprint sensor. This ensures that changes to settings and acknowledged alarms can be tracked back to the responsible person with absolute certainty; a great advantage on farms with multiple employees. Furthermore, the alarm device is easy to use thanks to a large color display. All alarm inputs and functions are displayed clearly and can be easily adjusted. 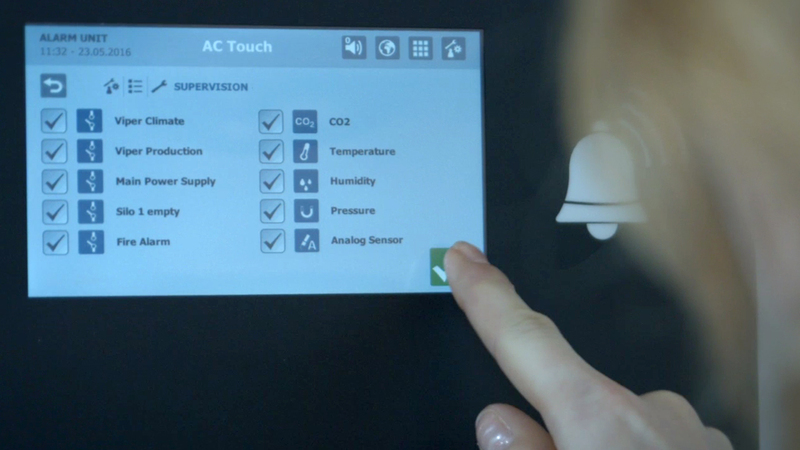 Another important feature of the AC Touch is the “black box”, which cannot be deleted and saves all alarms and activities.